I know I said earlier in the year that I was going to take a break with Monday Link Lists but, despite the ridiculous amount of time they take to get together, I really missed posting them. I'm not promising them every week but I'll be bringing them back sporadically. Here's a mix of things from the last few weeks, along with some older ones, that have caught my eye. Just a small warning - it's a long one but I have tried to break up all the photos by theme to make it a little easier for you all. I recently cleared all our junk out of our spare room, we've got a friend staying for a little while but eventually I want to try and turn it into an office. 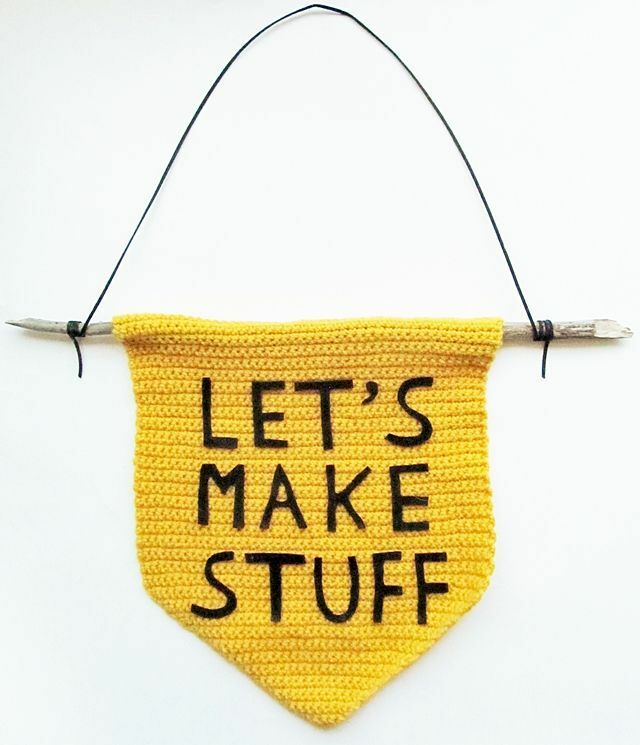 I think this might be the perfect first thing to make to decorate it. From Little Things Blogged. 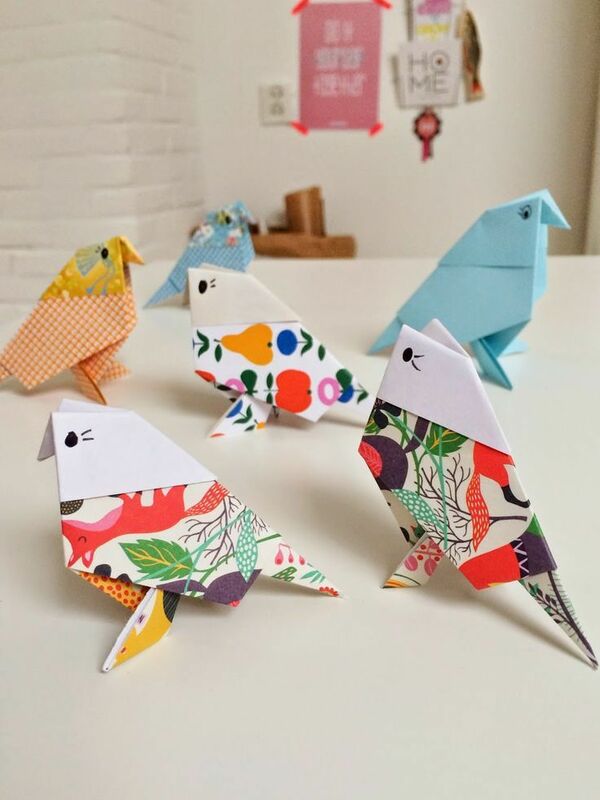 Still on my dream office - these origami birds from Wimke would make adorable companions on my desk. 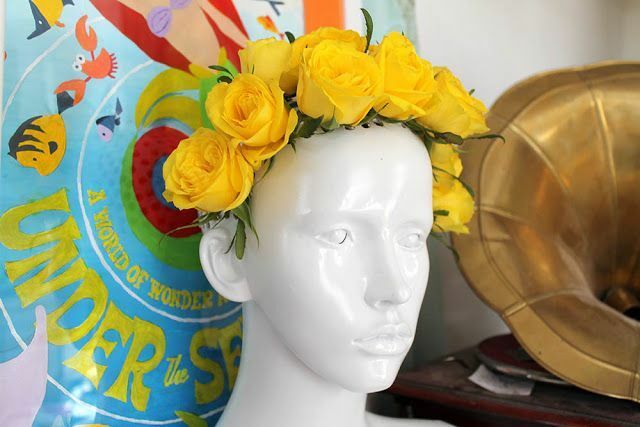 This DIY-ed white mannequin head from Now That's Pretty is perfectly kooky and weird, I'd love to make a couple without the flowers to store my hats. 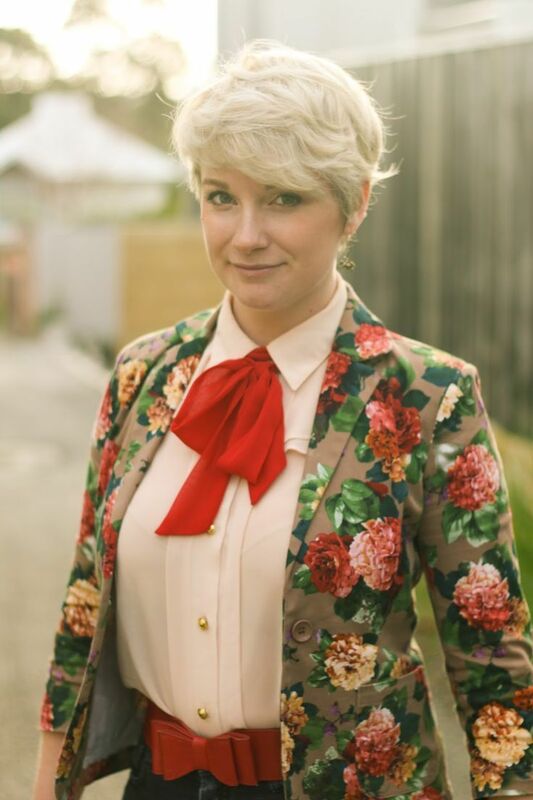 Liana mixes more masculine tailored shapes with feminine colours and prints and I love it. I've spoken before about trying to make my style more mature while still keeping my style me, Cynthia totally hits the nail on the head with this outfit mixing an adorable vintage print with a demure modern fit dress. Ok, I know, I talked about making my style more mature and then share Megan's Little Mermaid cosplay but c'mon, I can be grown up and still want to dress like a Disney princess occasionally - right? 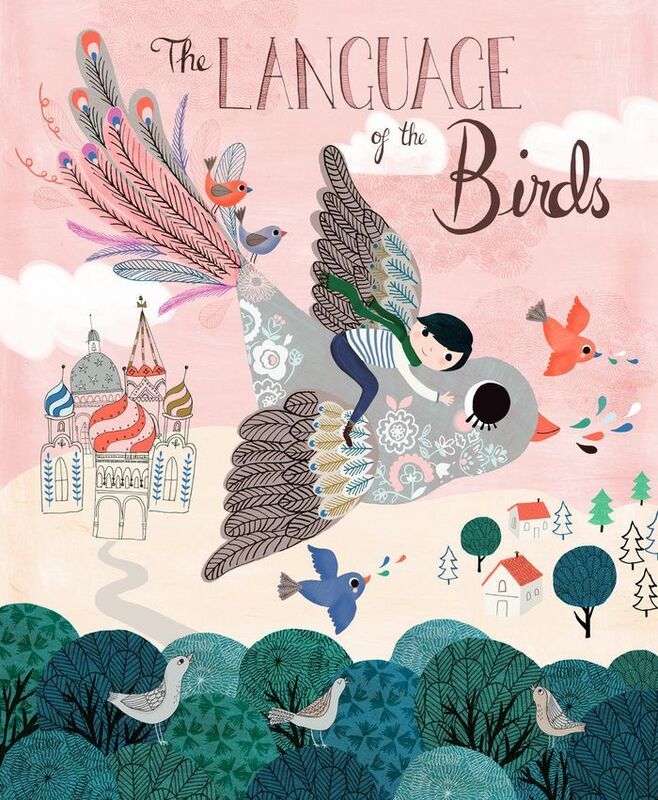 I heard a reference in a movie to the language of the birds in a movie recently. As it turns out it is a mythological, divine language but I did stumble upon this illustration by Rebecca Jones on my search and fell in love. 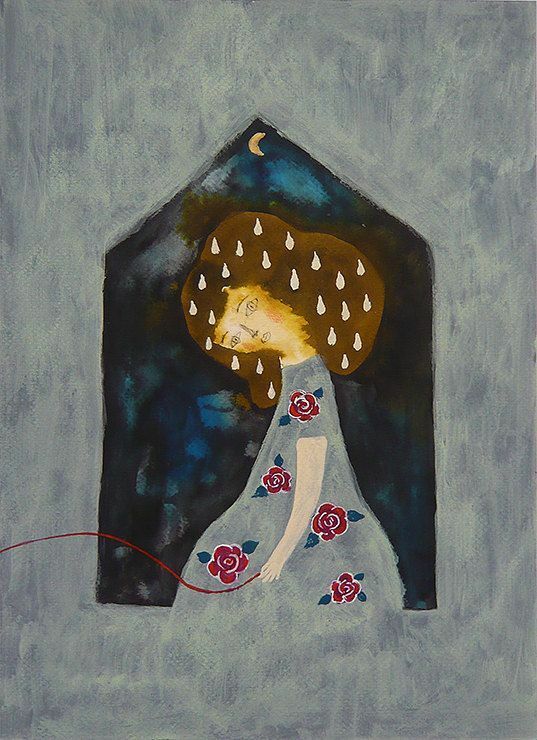 I love the moody style of Tetsuhiro Wakabayashi, it's just so sad but lovely at the same time. 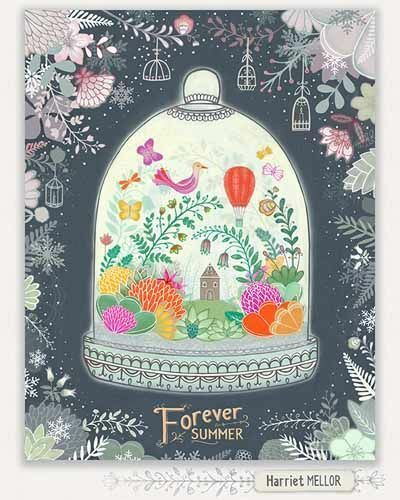 I just discovered the art of Harriet Mellor and I am absolutely in love with all of her work, it's got the lovely magical quality, but this is my favourite. 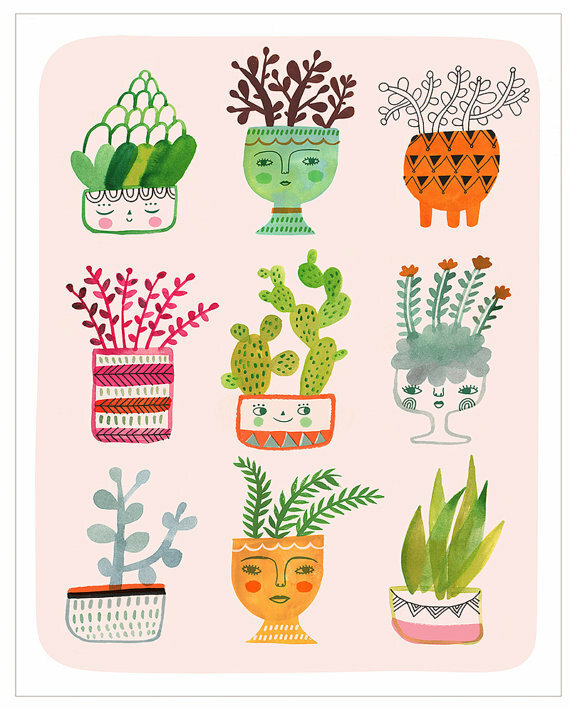 This print, Curious Cacti from PetitReve, is absolutely adorable. 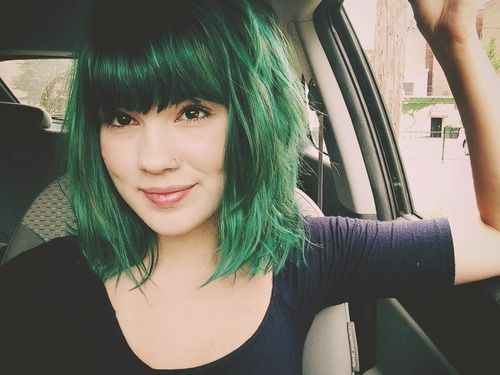 I've been getting the itch to have coloured hair again, I don't think my work will let me get away with anything crazier than red but that doesn't mean I can't look wishful at photos of women with awesome hair colours. Both the purple above and green below would be perfect shades for Autumn. 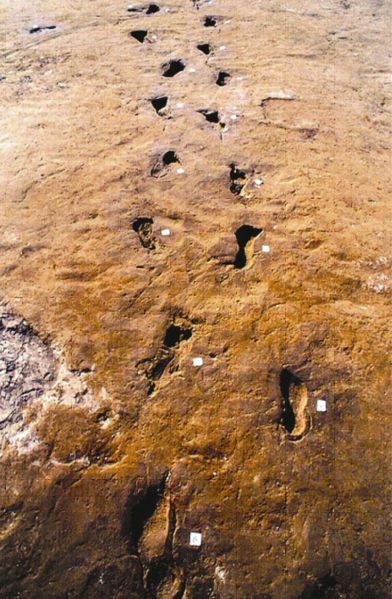 I don't talk about my love for history and archaeology as much as I would like around here but I wanted to share this photo of foot steps preserved in the village of Nola after the Avellino eruption at Vesuvius. Like the famous eruption of Vesuvius that preserved Pompei and Herculaneum this eruption in the 2nd millennium BC preserved much of Nola including these imprints. The weather is getting colder and although I am very excited about Autumn and all that comes with it part of me is wishing for another few weeks of sun and maybe even a holiday. 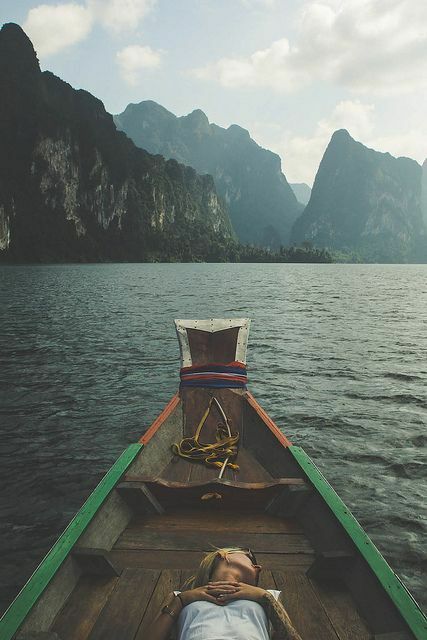 This photo of Khao Sok National Park in Thailand is not helping. It's absolutely beautiful. From Immi and Greg. 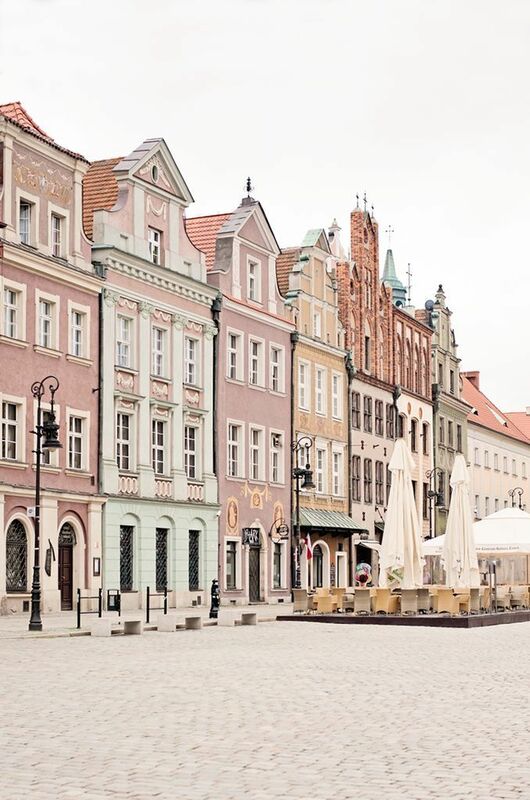 A different kind of dreamy - these photos of Poznan in Poland from Seventy Nine Ideas are beautiful. What a fairytale place! Last in my little list of wanderlust is a little bit closer to home. 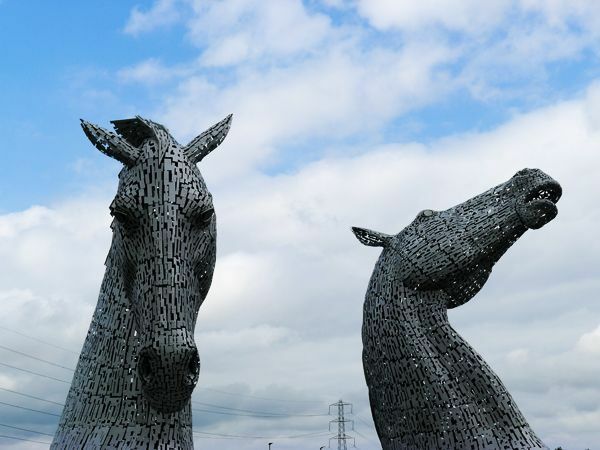 I've been wanting to visit The Kelpies by Andy Scott in Falkirk. Sorcha from Bright Field Notes visited them recently and took some amazing photos. 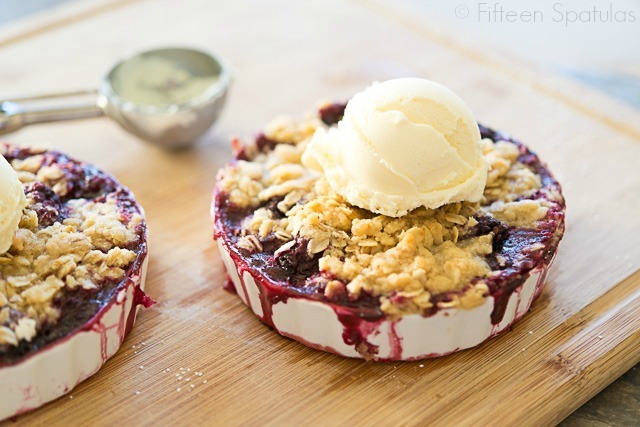 On to the food - we picked a whole bunch of blackberries on one of our recent day trips and I've been looking for recipes to use them for. 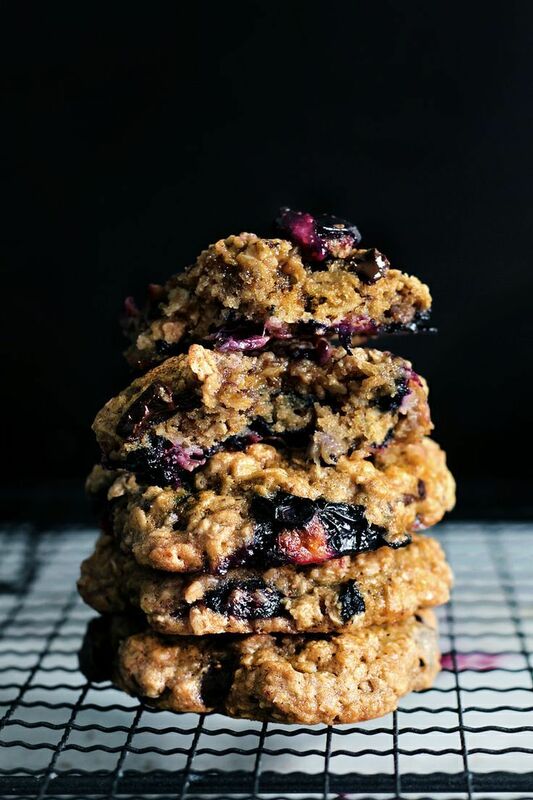 I've already made some muffins (post coming soon) but I've also got my eyes on the oatmeal blackberry muffins above and the lavender blackberry crumble below. Or if blackberry isn't your thing there are these cakes from What Olivia Did look not only adorable but absolutely delicious! I so badly want that cake tin! I'm a big fan of self-care. It took me a long time to realise that putting myself and my needs first is not only better for me but makes me a better person for everyone around me, so it made me really sad when a close friend said she honestly didn't understand what I meant when I used the phrase. I shared Kyla's post on it with her and wanted to share it with you all too. It's about time I went back and re-jigged my list too, so finding this post again was a nice reminder for me to take care of myself too. I'm not a performer at all, in fact I have horrible memories of being in first year at high school and standing up to do a book report and just not being able to say anything. I had nightmares about it for years! Maybe that's why Chantilly's post about the experience of performing absolutely fascinated me. Becky shared some photos of her Harry Potter wedding in Florida and it looks like it was amazing! Internships aren't quite as big a thing in the UK as they are in the USA but Zie's advice about surviving a stressful internship can also translate to surviving a any stressful job, even if it just until you manage to find a new one. 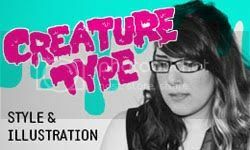 Dear Creatures Autumn collection is spot on as always, I love their Harper Dress! How Not To Say The Wrong Thing explains absolutely perfectly how we can support the people around us without dumping on the wrong person, even if it is unintentional. Elizabeth from Delightfully Tacky used her blog to start a discussion among bloggers about the way the media has affected their body image, not only are there a wealth of posts from some wonderful bloggers linked in but there are Elizabeth also shared her story of how she discovered blogging. Her description of her excitement discovering blogs for the first time echoes the first time I found blogs (which actually happened to be Elizabeth's). Coming from the other angle isn't it amazing how people's perception of us is changed by our image? 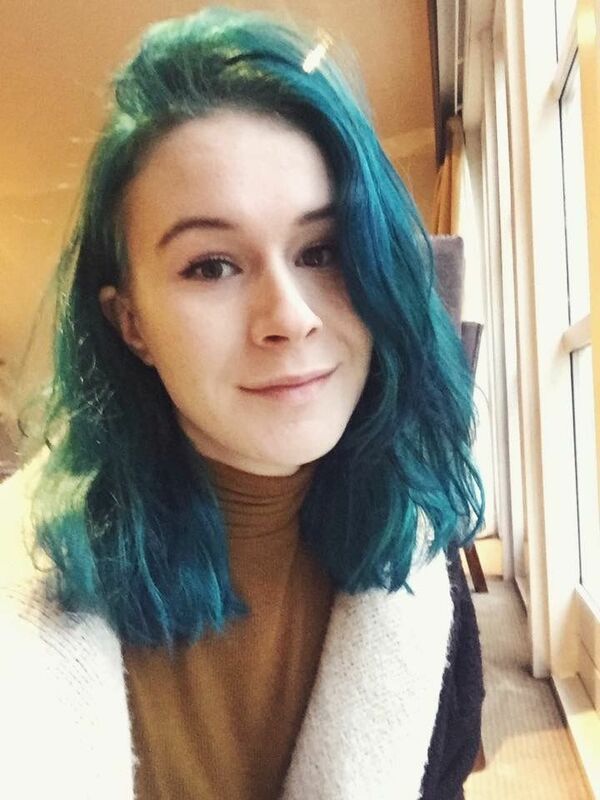 Having gone through various styles, hair colours and make up preferences I (and I'm sure most of you) have experienced this to at least some extent but seeing it cut apart so well in this post is absolutely fascinating. You guys all know that I absolutely love charity shops, spending a day trawling my local ones for gems is pretty much my perfect afternoon. That said, I'm not always particularly good at it, more than once I've come home with something that has never been worn and just lives at the back of my closet. Donna's tips for finding pieces you will really love are fantastic, I definitely sometimes suffer from what she calls 'Primark Syndrome'. Wow, that was even longer than I expected. And I thought I was being restrained! 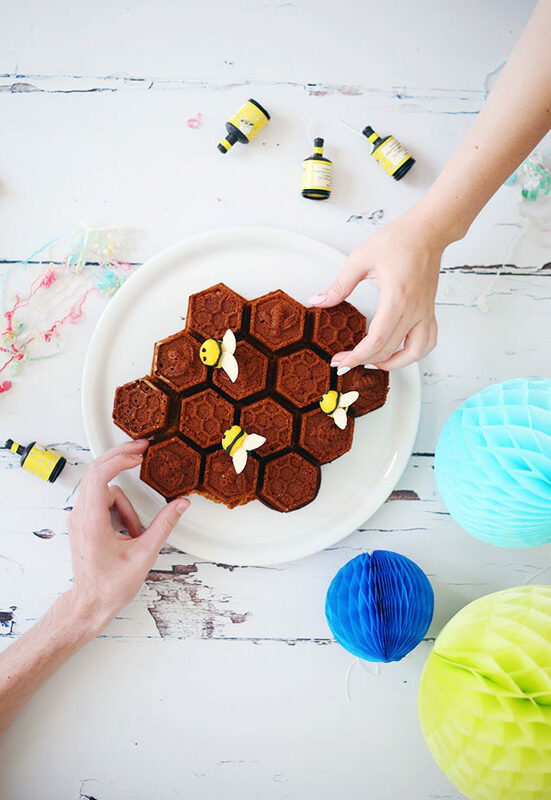 What have been your favourite blog posts over the last week? I'd love it if you shared them in the comments! 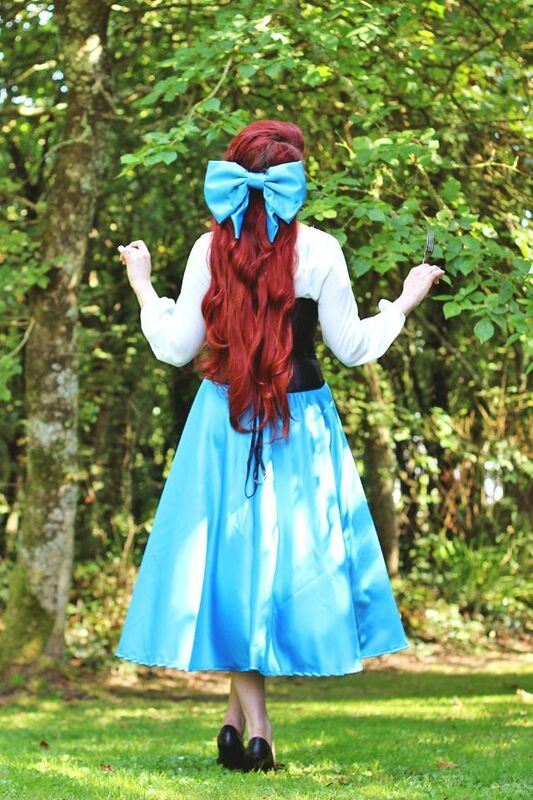 I've been really loving Megan's cosplay series too, as much as she is a beuatiful Ariel in real life, I think my favourite has been the aurora photos. That purple hair is amazing I wish i could be bothered with the upkeep of bright colours.